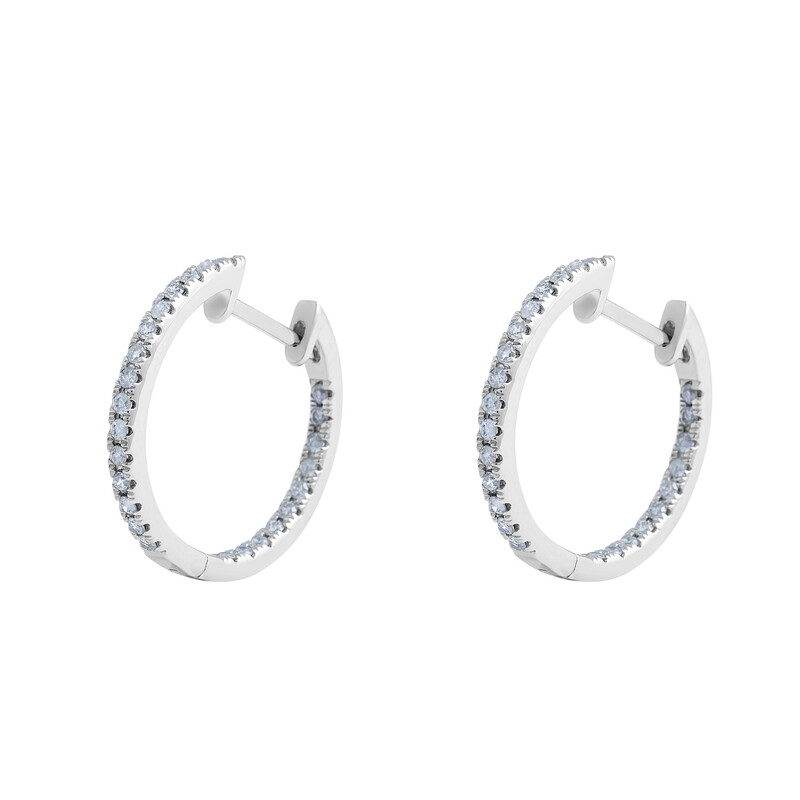 A timeless 18 Karat white gold diamond loop earrings set with 30 round sparkling diamonds in Pave setting. An elegant earring which can be worn to suit any occasion. 18 Karat white gold diamond loop earrings 30 Round Diamonds: 0.24 Carat Measurement: 16.5 mm.